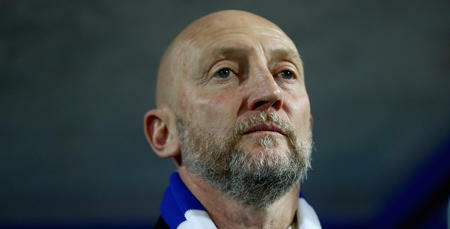 QPR boss Ian Holloway is long enough in the tooth to know there are no easy games in the Sky Bet Championship, as the Hoops prepare for the visit of the division’s bottom side on Saturday afternoon. Relegation-threatened Rotherham United are next up for Holloway’s in-form charges at Loftus Road, with the Millers heading to West London with their Championship lives on the line. Paul Warne’s side are 22 points adrift of safety, with just one win to their name in their last 12 Championship fixtures. Holloway, however, is well aware of the ‘banana skin’ that lies in wait this weekend and is challenging both his players and the R’s fans to come to W12 with the ‘right mindset’ this weekend. “This is another QPR trap, isn't it?” he told www.qpr.co.uk, “we're not good favourites! QPR never have been, have they? “Even when I played here we lost to Swindon twice and it cost us that year when we finished fifth. “Anyone who thinks it's going to be easy is naive. They're not going to come here and roll over. “No QPR fan should turn up at Loftus Road and be cocky this weekend. If they do, they don't understand this league. “The most dangerous time in football is when you feel like you've cracked it. We haven't yet, but we're in a good place. The boys have all gelled quickly and every one of my players wants to play for the beautiful crest on their shirt. Rangers head into the clash buoyed by another impressive display against Leeds United last weekend. 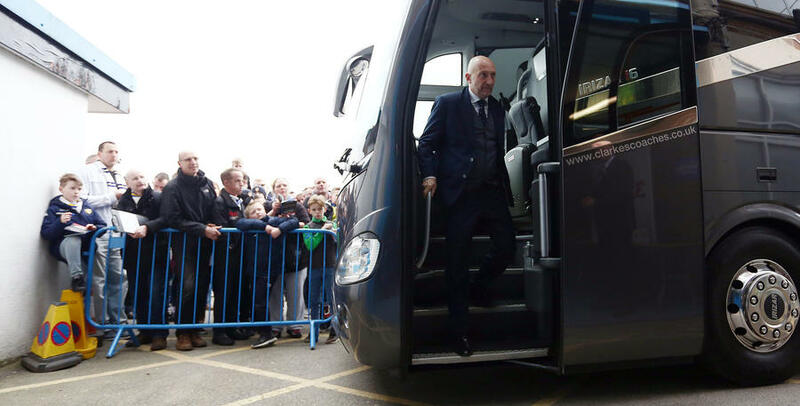 The R’s drew 0-0 at Elland Road, but arguably deserved more – and now Holloway is relishing getting back to Loftus Road and building on his side’s last three victories in front of the Hoops supporters. “We need to keep marching forward,” he said. “This is our ground, our cave. We want to build on our last three wins here, when we've really given the fans something to shout about. 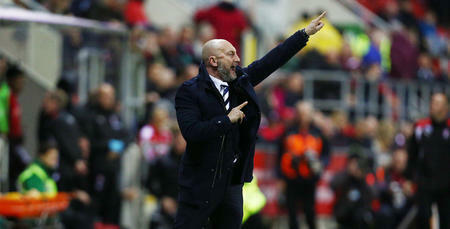 “The boys have been terrific in recent weeks and I can see a real consistency coming, but you have to earn that right. “Our preparation this week has been all about how we win this game. No-one in our training ground is taking this fixture lightly and believe you me, everyone knows exactly what we need to do to get a positive result. “I remember how it felt losing to them up at their place earlier in the season. He added: “This is a very tough game. “We will show Rotherham the utmost respect that they deserve. “Having looked at what they do and how they do it, they're not as bad as their league position suggests. “They've missed a lot of one-on-one's in their recent games, and unfortunately for them, not a lot is going for them in either box at the moment – and that's why they're in the position they're in. “Hopefully we can get the first blow in on Saturday, the first punch to their chin, that might knock the stuffing out of them. “They'll be very well prepared and we'll know what we're up against, but hopefully we can put on another good tactical performance. Rangers’ recent revival, which has seen Holloway’s men collect 13 points from their last six games, has seen the Hoops move nine points of the relegation zone, but the R’s gaffer is adamant there is still work to be done. “We're not safe yet – so we need to get a result to move us closer to safety,” he said. “We need to get enough points on the board to actually allow us to start building for next season. “But the mindset of the players and the crowd has to be right. 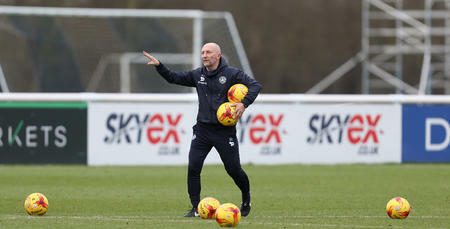 Holloway readily admits he is still not sure what his best team is, but he’s delighted with the competition for places in the QPR squad. “I'm not sure what my best team is at the moment, because everyone is pushing for a start. “But what encourages me is the squad are all pushing each other on. Even if they're not playing, they know they can come off the bench and make an impact, which we've shown in recent weeks. “I've got some selection headaches, that's for sure. “Jack (Robinson) is getting closer all the time. He's coming along well now. “I like him a lot and the sooner he's 100 per-cent, the better for us. “Kazenga (LuaLua) is also making progress. “This weekend will come just too soon for him, but he's made a much speedier recovery that we expected, which is really good news. 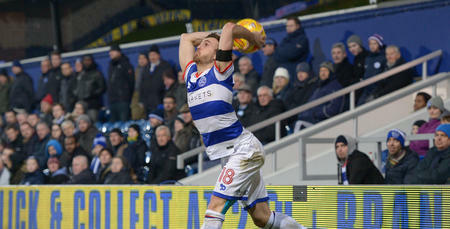 No QPR fan should turn up at Loftus Road and be cocky this weekend.